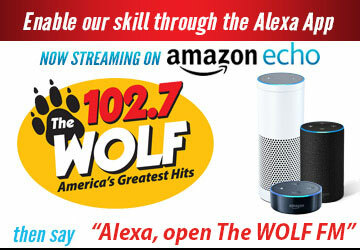 General Contest Rules - The Wolf 102.7 | America's Greatest Hits! The following shall serve as a basis for determining winners of all games and contests that air on all RES stations, unless otherwise stated by individual contest rules and regulations. In the following, “win” refers to the receiving of any item without compensation. 1. A contestant is ineligible if they are present or past employees of Redwood Empire Stereocasters, and its affiliates and assignees, along with their immediate families and employees of any other radio station. RES reserves the right to revoke any prize if the contestant does not meet the eligibility requirements. 2. Contestants must be eighteen (18) years or older unless otherwise announced. 3. Prizes are non transferable. Complimentary tickets are not eligible for re-sale and may not be honored by venue if re-sold. 5. NO SUBSTITUTION or other consideration will be offered instead of the stated prize. All items won from any of the stations must be claimed within thirty (30) days of winning. 6. If prizes are not claimed within the stated period of time, the winner waves the right to the prize and the prize reverts to the possession of RES stations. 7. Winners are responsible for appropriate taxes and fees associated with the winning of ANY prize. 8. Proper photo ID is required to claim any prize. 9. A 1099 MISC form will be completed and filed with the IRS for every prize or accumulation of $600 or more. All local, state and federal taxes, license and fees are the sole responsibility of the winner. 10. During any contest involving communication through the telephone lines or text message, should a contestant be disconnected from the utilized phone line or texting service before the contestant’s correct name, phone number, and response are recorded, they will be instantly disqualified from the contest without compensation. The following sequential caller/texter shall be given the opportunity to win. 11. RES is not responsible for problems occurring within the telephone/texting system or any of the station websites which either inhibit or increase the chances of winning. 12. Winners may be required to sign a release. All winners agree to allow RES stations to use their name, voice and/or likeness, portrait, and biographical information for promotional purposes without further compensation. All calls coming into RES Studios will be taped and may be aired on the RES stations without further approval. 13. By winning any items from RES stations, the winner and the user of the item(s) releases RES from any responsibility to any incident related to the use of the item(s). Incidents include (but are not limited to) cancellation or alteration of event, expiration of item, bodily injury or death. 14. Additional rules pertaining to other station contest(s) may not supersede these rules. 15. Redwood Empire Stereocasters reserves the right to add, delete and/or alter rules at any time. 16. RES reserves the right to cancel any contest at any time. 17. Disputes regarding these rules will be settled by the General Manager of Redwood Empire Stereocasters. All decisions are final. 18. RES is not responsible for any phone system, internet access or texting service charges that contest participants may incur as a result of participaing in RES contests. 19. RES is not responsible for delays from "re-broadcasting" of its signal of any type including but not limited to online, telephone, streaming of any kind, TV or cable. 20. All prizes are awarded “as is” with no warranties, guarantees or reimbursements by Redwood Empire Stereocasters. 21. By entering a contest, participants agree to abide by these rules.